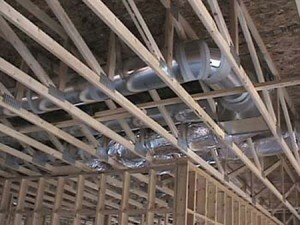 Having a properly designed duct system can be more important than the type of unit you have or its SEER rating! 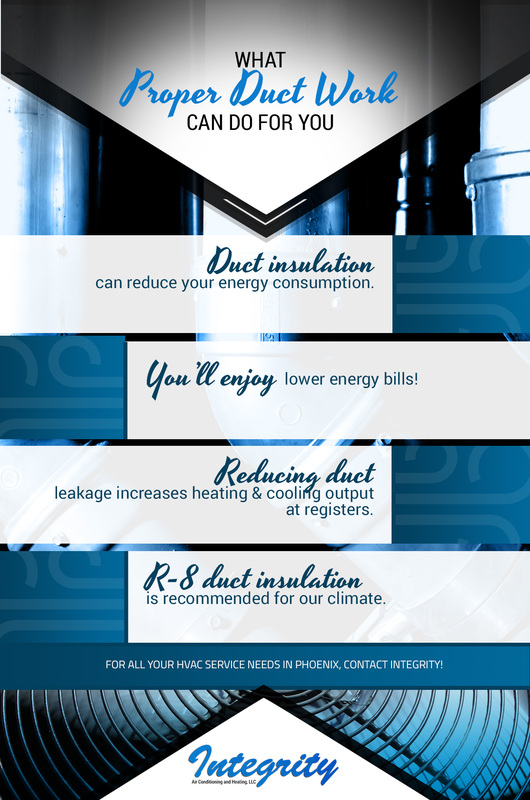 At Integrity Air Conditioning & Heating, our goal is to help you enjoy a more comfortable and efficient home, and that’s why we offer duct insulation among our many HVAC services. If duct leakage is reduced, cooling and heating equipment can be downsized for additional savings. Reducing leakage can also increase cooling and heating output at registers. An enormous waste of energy occurs when cooled air escapes from supply ducts or when hot attic air leaks into return ducts. Recent studies indicate that 10 to 30 percent of the conditioned air in an average central air system escapes from the ducts. APS recommends R-6 or better – we use R-8 duct insulation for our desert climate. With AC duct insulation, you may be able to save an additional five to six percent on your air conditioning bill. Contact us to inspect your duct system for leaks and design flaws! Integrity Air Conditioning And Heating is able to perform a complete ductwork analysis in your residential or commercial property. This analysis will help us pinpoint where the ductwork is inadequate due to leaks, poor design, or other factors. Based on our ductwork analysis findings, we’ll make recommendations designed to help your home or business become more energy efficient. This is good not only for the environment, which is a very important consideration, but also for your wallet. You’ll enjoy ongoing savings from one month to the next when your HVAC system is optimized for efficiency. For all your ductwork and HVAC maintenance needs, get in touch with the local HVAC contractors who consistently work with the highest level of integrity!